What is Hoops for Hope? 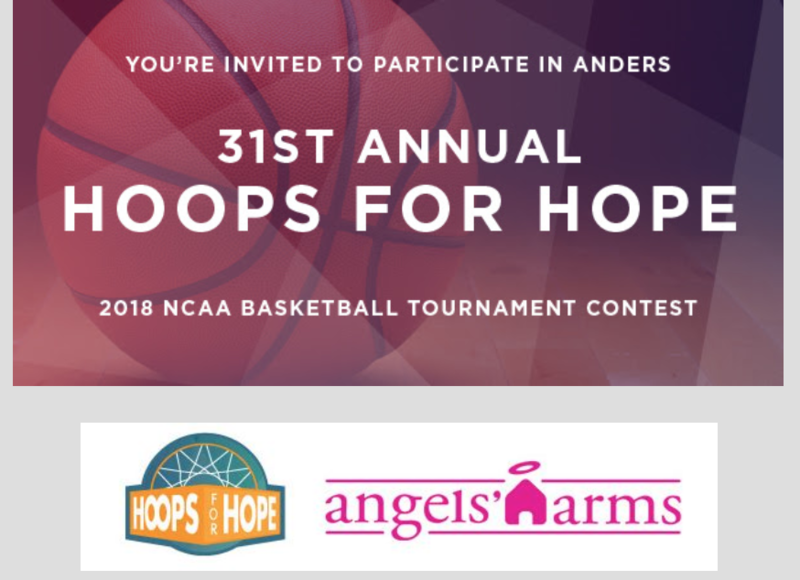 Over the past 31 years, the Anders firm Hoops for Hope NCAA bracket tournament has grown from a small office pool to a tournament that includes over 700 participants! This year, the goal is to draw in 800 participants to support Angels’ Arms, Anders 2018 Charity of Choice. Top bracket winners will receive a prize donated by the 2018 Hoops for Hope sponsors. Last place will receive a year supply of What-A-Ya NUTS?! Once payment is submitted, visit amdllp.com/ncaa2018/ between March 11-March 15 to make your picks!